My intention in starting this thread is to create a genial meeting place for all those interested in discussing all things Romantic. The main focus is of course music, but in keeping with a genuine Romantic spirit, talking about, and commenting on, literature, visual arts and philosophy is welcome and encouraged. As long as there is a connection to Romanticism, there is no offtopic here. So, you are all warmly invited to join in and bring your love (or lack thereof) and knowledge of, and perspective about, Romantic music (and Romanticism in general). Whether a particular composer or recording, an interesting book or article on the subject, or simply your own ideas and thoughts, feel free to express yourself in complete liberty: people who dislike, or even hate, Romanticism are most welcome too, there is always something interesting to learn from the opposition, and we might even be able to make a few converts. I´ll start right off by recommending you this article, which is quite illuminating about what (mainly German) Romanticism was all about and is accompanied by some very nice musical examples which allow anyone to build his own concert using whatever recordings of the musical material they want. Btw, does anyone know a (good) recording of Nietzsche´s works for violin and piano? Thanks a lot! Making it sticky is very kind of you. An excellent examination of how the artists became wrapped up in the politics of that century. Josef Danhauser: Franz Liszt playing in a Parisian salon a grand piano by Conrad Graf , who commissioned the painting; on the piano is a bust of Beethoven by Anton Dietrich; the imagined gathering shows seated Alexandre Dumas (père), George Sand, Franz Liszt, Marie d'Agoult; standing Hector Berlioz or Victor Hugo, Niccolò Paganini, Gioachino Rossini; a portrait of Byron on the wall and a statue of Joan of Arc on the far left. And to draw the life-blood from his heart. For another prey I now depart. Welcome, gentlemen! Glad you joined! That looks very interesting. Could you please summarize it? Ah yes, this one is a classic! (pun... ), thanks for posting! Speaking of Rossini, have you listened to his late piano music? There are some pieces there that nobody would be able to guess their author in a blind test. Thank you and visit often! You are more than welcome. I have indeed, and found it very good indeed. It's been several years, though. On which side of the Beethoven fence do we stand? Some of his works are clearly Romantic, some not that much. I have the first four volumes of Stefan Irmer´s cycle on MDG and the complete 8-volume Paolo Giacometti cycle on Channel Classics (too many covers to post). The latter has better sonics and uses a splendid-sounding 1849 Erard. It got a 10/10 rave review by Hurwitz himself. Is Schumann’s Album for the Young Really for the Young? The author, one Elizabeth Green, makes an interesting case for AFTY being inspired by, and modeled after, Blake's Songs of Innocence and Experience. Give it a read --- whether you agree or not, it is a good opportunity to visit / revisit one of Schumann's most charming piano cycles. There is no dearth of good recordings: Samuil Feinberg, Carlo Zecchi, Rene Gianoli, Francoise Thinat, Alexis Weissenberg, Joerg Demus, Joseph Nagy, Michael Endres, Luba Edlina... Actually, AFTY seems to be more popular with pianists than with the audience. 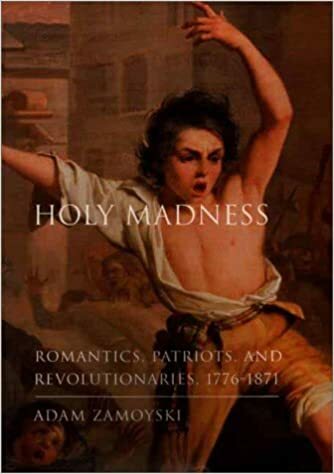 Holy Madness is a tour de force: beginning with the American Revolution and ending with the Franco-Prussian War, the author shows how the concepts of Romanticism galloped across Europe, although the last chapter shows the lingering of Romanticism (as a spiritual-political force) into the 20th century. Composers do not figure as much as writers, e.g. 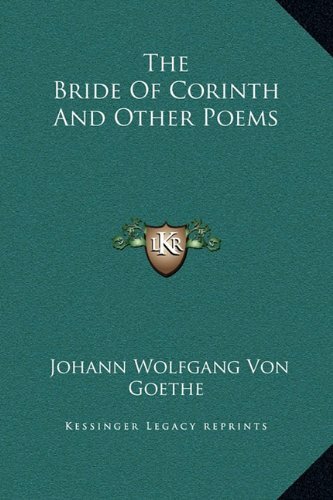 Goethe gets more print than Wagner, Rousseau more than Berlioz, and there is no mention of Beethoven, which lack I find inexplicable. And yet it is an almost cinematic description of large and small players in revolutionary Europe - from Portugal to Poland and even Russia (e.g. Bakunin and Dostoyevsky are discussed). Does he mention even en passant Bălcescu, C. A. Rosetti and the Brătianu brothers? I do not have the copy at hand right now, but let us just say that if the author does not mention them, he should be horse-whipped! Can someone confirm or deny that Album for the Young cannot have been intended for youngsters because most of the pieces are too difficult? It's one of Green's "arguments." Album for the Young (Album für die Jugend), Op. 68, was composed by Robert Schumann in 1848 for his three daughters. The album consists of a collection of 43 short works. Unlike the Kinderszenen, they are suitable to be played by children or beginners. The second part, starting at Nr. 19 (Kleine Romanze), is marked Für Erwachsenere (For adults; For more grown-up ones) and contains more demanding pieces. Anyway, apart from the mere technical argument it is the suggested symbolism and overall structuring of the cycle as a unified whole that I find if not convincing then at least plausible.